Iran’s Supreme Leader, Ayatollah Ali Khamenei, on Monday said his country had rejected a U.S. request for cooperation against the “Islamic State” (IS) because Washington has “dirty hands”. “Right from the start, the United States asked through its ambassador in Iraq whether we could cooperate against [IS],” Khamenei said in a statement on his official website which was quoted by Al Arabiya. “I said no, because they have dirty hands,” said Khamenei, who has the final say on all matters of state in Iran. “Secretary of State (John Kerry) personally asked (Iranian counterpart) Mohammad Javad Zarif and he rejected the request,” said Khamenei, who was leaving hospital after what doctors said was successful prostate surgery. 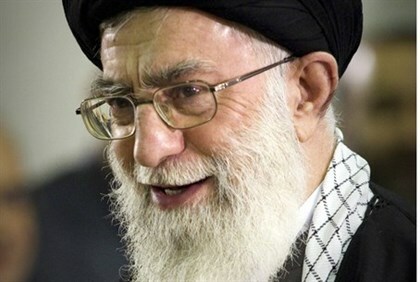 Khamenei accused Washington of seeking a “pretext to do in Iraq and Syria what it already does in Pakistan — bomb anywhere without authorization,” according to Al Arabiya. Earlier on Monday, Kerry waffled on his position from last Friday, when he ruled out Iran’s participation in a global coalition against IS, saying in an interview that he would be open to military cooperation with Iran. Kerry elaborated, saying, “I think we are open to any constructive process here that could minimize the violence, hold Iraq together – the integrity of the country – and eliminate the presence of outside terrorist forces that are ripping it apart. I wouldn’t rule out anything that would be constructive to providing real stability. French Foreign Minister Jean-Marc Ayrault said Sunday that if US President-elect Donald Trump moves the American embassy in Israel from Tel Aviv to Jerusalem it would have "extremely serious.